The Alderney Gaming Control Commission was founded in May 2000 under the Gaming (Alderney) Law, 1999. Companies that hold an online gaming license in Alderney may qualify for tax-exempt status, in which case they do not pay income tax but pay a minimal nonprofit related fixed annual fee instead. There is no VAT or other sales tax applicable. There is no tax or other duties payable on gambling operations. In July 2006, the Commission introduced new provisions to its legislative framework. The Commission created the first online gaming license which includes multiple gaming types such as casino, poker, sportsbookor lottery. The Commission also introduced a Restricted Use Online Gaming license in July 2006 allowing operators to operate a mirrored site from within the jurisdiction while their primary site operates elsewhere. 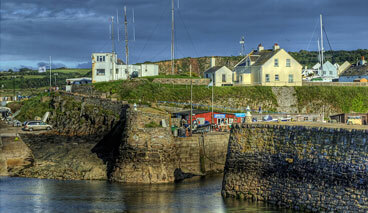 Operators may use their equipment hosted in Alderney whenever required and pay a daily fee. If a Restricted Use licensee wishes to operate from Alderney for an extended period of time, it may switch to an Online Gaming license. Category 1: a standard business-to-player license. The operator is required to have a registered company in Alderney and the license can be granted in approximately four weeks. Category 2: a hosting certificate authorizing the operational management of a gaming platform within an approved hosting center. Licensees can be a resident or nonresident. Resident licenses: can only be held by companies registered in Alderney. Nonresident licensees can accept players from Alderney without the need to warn them of changing jurisdiction. A Restricted Use license: also known as a "temporary license," is a short-term license for operators wanting a second site in Alderney. Restricted licensees can operate under their existing non-Alderney system for a period of 30 consecutive days, or 60 days in any six-month period.